A dark solid black. Cost effective, with a smooth quality. All tubes are 4' long. 33COE Sold by the length (4') or the case. Black Asian Borosilicate Colored Glass Asian Rod and Tubing 33 COE high temperature glass, measuring 16-inches in length and 7 to 9 millimeters / 0.19 to 0.27-inches in diameter. 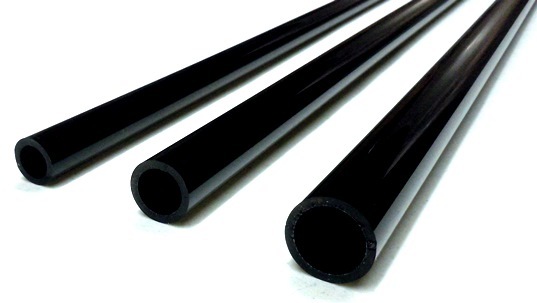 Our China borosilicate glass rods in black Asian are sold by the pound in 1-pound increments.